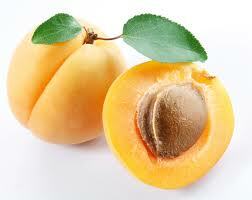 Apricot is a delicious fruit available world wide. following are some benefits of health on human body. The apricot fruit has fiber and beta-carotene, an antioxidant that fights against macular degeneration, high cholesterol, diabetes, and obesity. Because it is high in beta-carotene, apricots have the ingredients to protect eyes from macular degeneration, which is the leading cause of vision loss among adults). Eating three piece of apricot fruits provides 12 % of the recommended Daily Value of fiber, which also helps lower cholesterol, control blood sugar, and aid in weight loss. It is high in vitamin A, and vision. that is why it is very helpful in the removal of skin pimples and other skin disorder. Apricot contain lycopene, this substance can help prevent cancer and help to protect LDL cholesterol from oxidation, which may help prevent heart disease. Great and informative information, where I used to live I had a apricot tree, knew they were good for you but, I didn't know all of the benefits. Thanks for sharing!